For companies who want to develop magnesium die casting as part of existing die casting operations we will provide Project Consultation to ensure the equipment and processing systems meet or exceed production expectations and conform to local and international codes for the safe handling of molten magnesium. 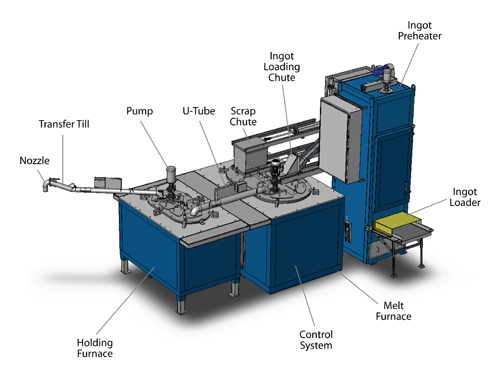 Recycling trial Die Makers Inc.
MP4000 pump testing Die Makers Inc.
Metamag is experienced in all facets of magnesium die casting operations and will provide operational support to ensure the equipment performs as specified. 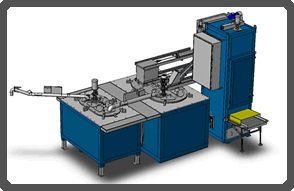 Metamag can also provide custom solutions for magnesium melting and handling systems to meet specific client operational requirements.